His first stop is Lord Howe Island, where the pace of life is slow and the population is a steady 350. He also visits Norfolk Island, Australia's most easterly territory and the remotest island on Martin's journey. 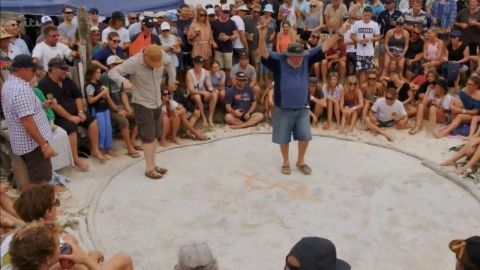 In this episode Martin travels to the Tiwi Islands, swims with a whale shark, and visits the Houtman Abrolhos, a string of over 100 little islands. Martin Clunes also samples life on Rottnest Island, which has long been a playground retreat for mainland visitors.